No other company does what we do. We produce and direct your day from start to finish. We do everything in-house from floral design to linens and draping, as well as ceremony design, delivery of furniture and on-the-day co-ordination. We produce the whole day. 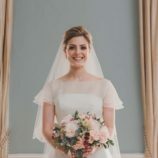 We believe that for you to be fully present and able to enjoy every moment of your big day, all organisational worry and logistical nightmares should be off loaded from you entirely. We can jump in as far out from the big day as you like, ready to take the process in hand and be there on the day, clipboard ready, to ensure it runs without a hitch. See more of what we do in our Gallery HERE.